To many, the word “sunroom” conjures up a distinctly old-fashioned image, like something from a Jane Austen novel: the characters in their period-appropriate clothing having tea in the solarium. To many others, however, a sunroom fits right into their image of their ideal, modern-day home, and a growing number of homeowners are choosing to add sunrooms to expand their living space. Enjoy Nature Without the Pests- In today’s world, many people find it difficult to make time to go outside and enjoy nature. The biggest culprit is the fast pace of modern working life, but even when you can make time to take in the outdoors, it’s easy to be put off by their unfortunate side effect: the bugs. It can be a struggle to relax and appreciate the natural setting when you’re being constantly swarmed by mosquitoes. Our team at Eden Construction believes that a sunroom offers the perfect solution to this dilemma–it gives you a convenient, dedicated space to sit and appreciate your surroundings, while also protecting you from irritating stings and bites. Improve Your Health with Natural Light- Another benefit of adding a sunroom is that it increases the amount of natural light in your home. Natural light has been linked to a number of important health benefits, including increased vitamin D production, which can improve brain function, boost the immune system, and even improve bone health. in addition, natural light has been shown to alleviate more specific conditions such as Seasonal Affect Disorder, which according to studies affects as many as 1 in 20 people. Add Living Space- If you have a patio or porch that you’re not using, converting it into a sunroom is a great way to reclaim that space. The added protection that comes with adding a roof and either glass windows or screens will open up the space to a greater variety of uses than it had before. A sunroom is a perfect place to do activities that might be too messy for your living room, such as craft projects, while still enjoying the comfort of the indoors. Here at Eden Construction, we want to help you get the most from every part of your living space. 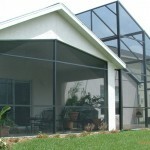 If you are interested in adding a sunroom, please don’t hesitate to call our team for a professional consultation.